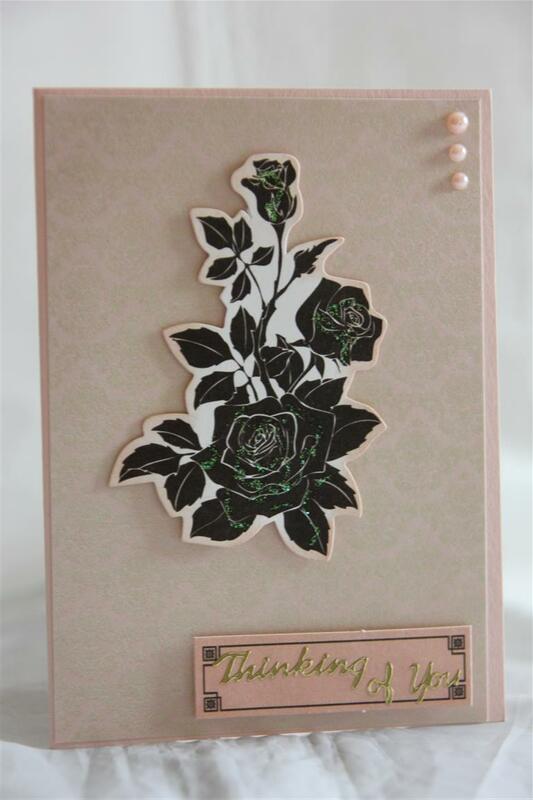 Thinking of you, kaisercraft My Cherie 10..
Another Thinking of you card using kaisercraft My Cherie paper collection. the background paper is from the 6″ pad, and the sentiment and butterfly are cut from 12 x 12 papers from the same collection, with a few flowers added.I rounded the right hand corners to fit in with the curved lines of the sentiment. Tomorrow i have a couple of thank you cards from the same collection, and then we will move on to some Mothers day cards as that is just around the corner.We have a lovely lovely weekend here weather wise,and I have spent some lovely hours just sitting in the back yard in the sun, a lazy weekend! Til tomorrow….. 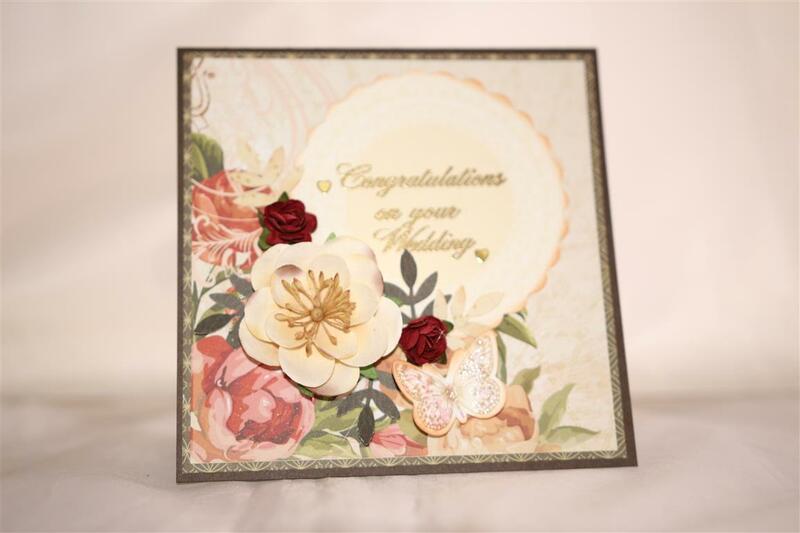 Here are the final three of my wedding card series – the top two cards are made with kaisercraft on this Day paper collection, and the bottom card is a mix of papers I found in my drawer, and prima flowers and some punched leaves. 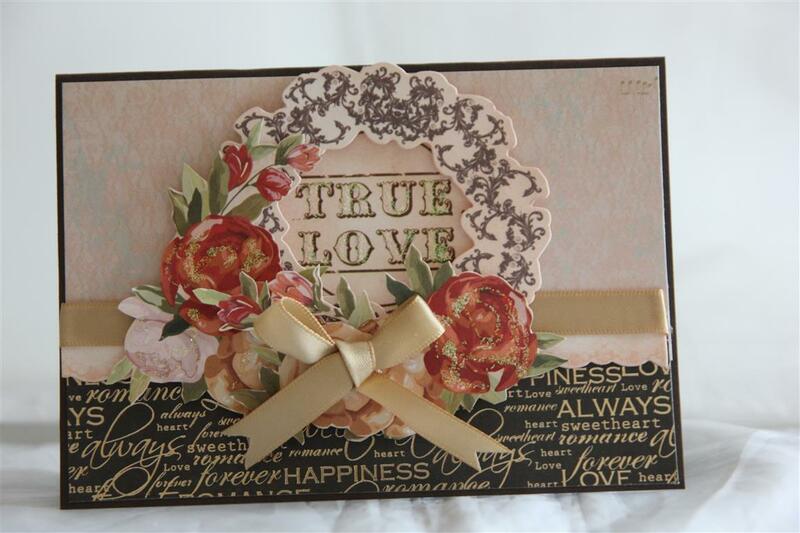 I think the flowers on the top two are also Prima, and of course ribbon and lace used liberally on all cards! Today I have been putting together some Prima doll stamp cards, and mulling over ideas for my July classes. can’t believe I am already thinking about july – where is this year going? Til tomorrow…..
Kaisercraft On This day number 9 – the very last! The very last card in this series ( Kaisercraft On This day) is a card and a box. On the right is the box, left is the card. I used a piece of the 12 x 12 paper, collectables, lace, ribbon, and an assortment of flowerts for this one, and inked all my edges with spun sugar distress ink.Today has been a day of cooking, and cleaning but I have managed to spend an hour or so in the craft room making more cards with bo bunny primrose. These ones I will be able to photo, but not til next week as Nathan has been busy fixing other peoples malfunctioning computers! he is very in demand that boy! Til tomorrow…. 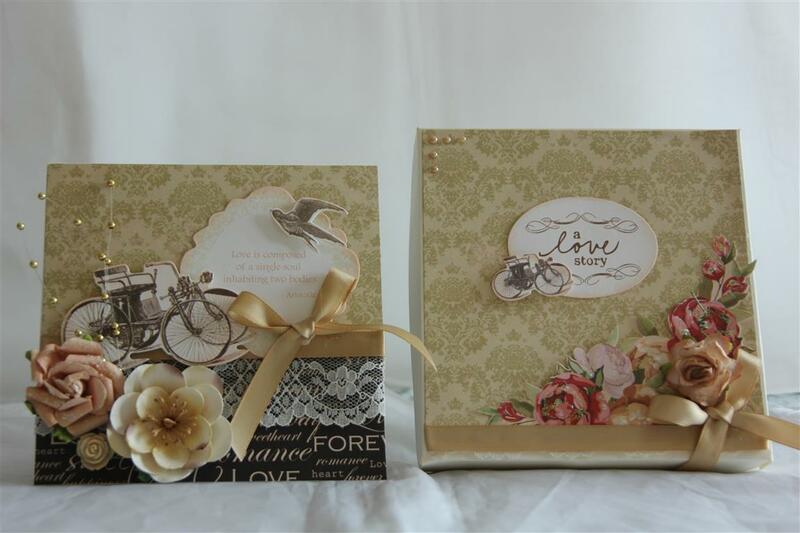 Two cards today, both using Kaisercraft On This day paper pad and collectables.The top card is still following the wedding themd, but the bottom card is a sympathy card. a lot of the images in this collection can be used for so many different themes. I have had a lovely day in the craft room – actually finished using one paper collection, tidied a little bit, ad then made a dozen Mothers day cards. Those ones won’t make it to my blog as I have had to put them straight into my lunch room boxes as people are already asking for them.I have also palyed alittle bit with my new bo bunny paper – took a card or two to settle into the swing of that paper but I am on a roll now! til tomorrow…. 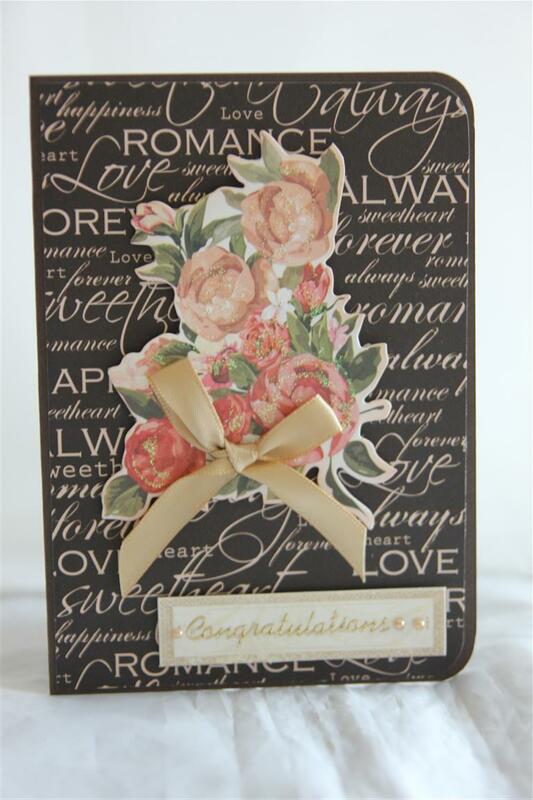 Kaisercraft On This day 6″paper pad and matching collectables. 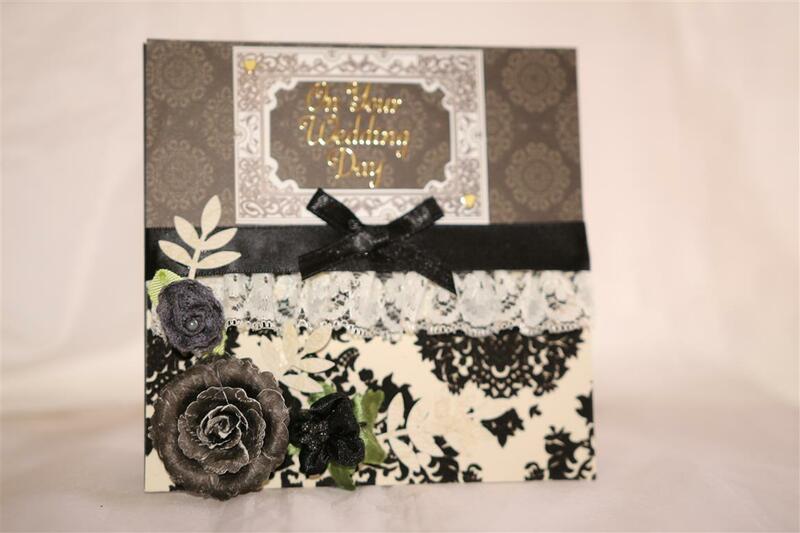 I have used a scalloped edge punch for the top layer, and wrapped my ribbon around that before sticking to the card front. A ribbon bow and some kindyglitz to finish! I saw the new kaisercraft papers today, but ( shock) I didn’t buy any!I must really be serious about using up the over abundance of paper in my craft room!I did however buy some sheets of the new bo bunny paper – Primrose. I fell in love with the pastel colours in that range , so hopefully will get into the craft room this weekend to make some Mothers day cards with it. Til tomorrow…. 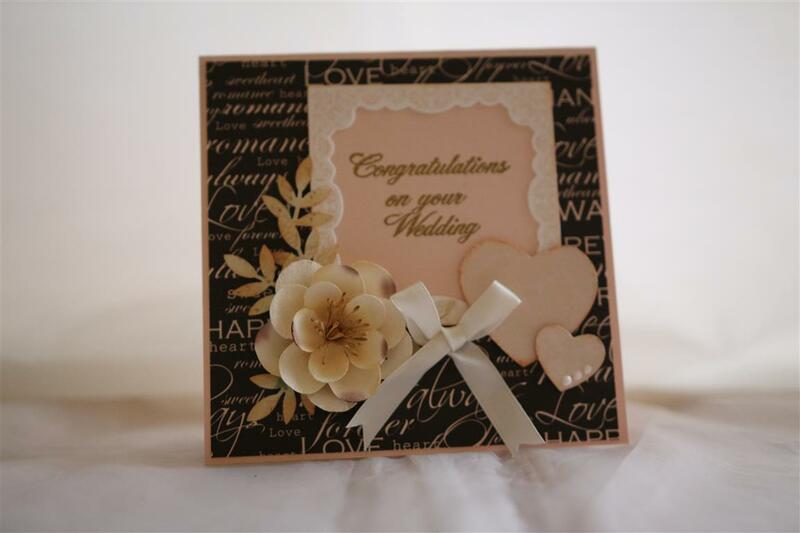 again this card could be used for a few different celebrations – Anniversary, wedding or engagement. The paper collection is Kaisercraft on this day, and I have used a bit of a 12 x 12 sheet for the background, and some collectables and ribbon. I rounded my corners on this one. quick post tonight, as tea is cooking as we speak! Til tomorrow…..
Lots of layering on this one! 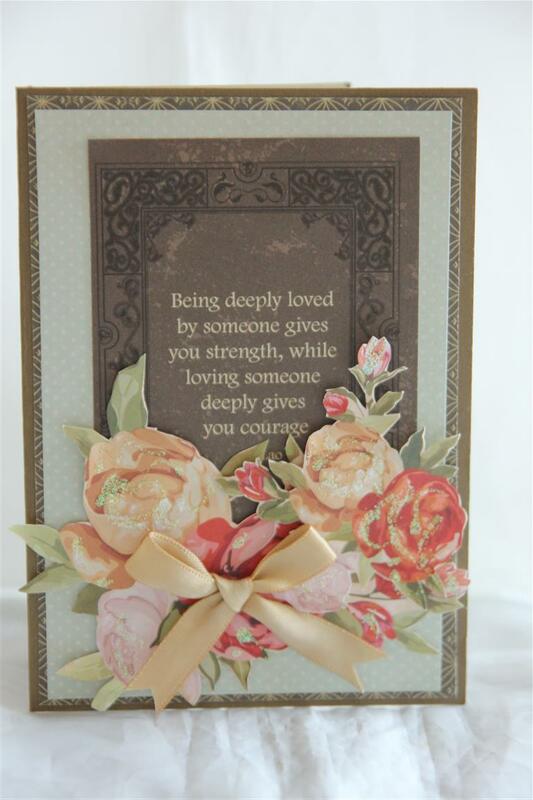 Kaisercraft On This Day 6″paper pad, collectables, and the sentiment was from a bit of the 12 x 12 paper. 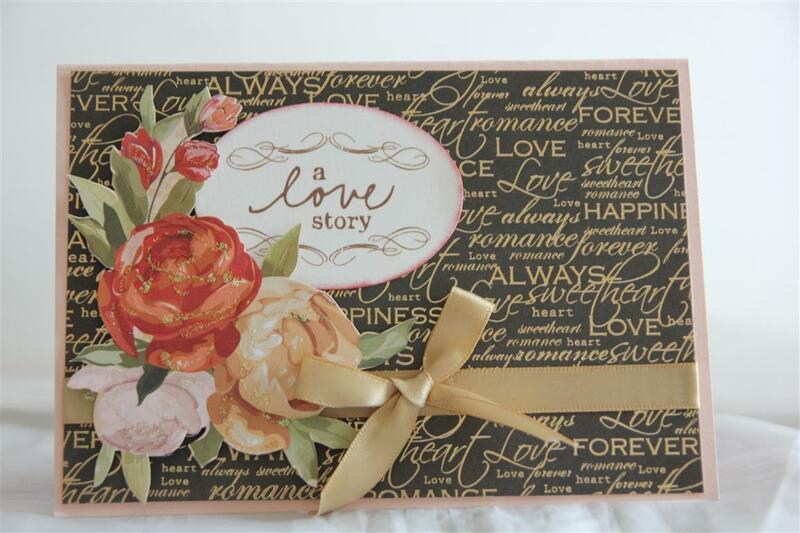 This one would be suitable for wedding, engagement or anniversary card. I( just added a ribbon bow and kindyglitz to finish. I really like the subtle colours of this paper and can’t believe it took me so long to do anything with it! Til tomorrow….